Tobi – also known as Guruguru – was a mistake. An aberration that was never meant to exist. Once every thousand years the God Tree grew a mysterious fruit blessed with chakra. But at the beginning of the last millennium the tree was robbed of all its power and sealed in stone, making it a shadow of its former self. 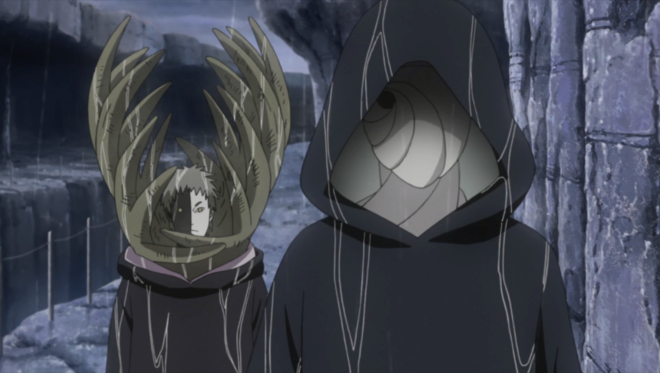 Centuries later its body – now known as the Demonic Statue of the Outer Path – was called forth by Uchiha Madara. Madara used that statue as a catalyst to cultivate Senju Hashirama’s unique cells to extend his own lifespan and produce what he believed were artificial humans. Tobi was not one of those artificial humans. It was, in fact, the fruit that was meant to grow every millennium.